I. What is a financial statement? A financial Statement is the Probate and Family Court form on which each party sets out his or her financial situation. When you fill out the form, you must list all of your income, expenses, debts and assets. You are required to file a Financial Statement in any case where support, alimony, or a financial matter may be an issue. A Financial Statement is one of the most important documents in your case. Do not wait until the last minute to fill out this form. II. How accurate do you have to be? Very accurate. Filing a Financial Statement is a very serious matter. After you fill it out, you must sign it “under penalties or perjury.” This means that if you deliberately do not tell the truth, or you leave out information, a judge can send you to jail. Not telling the truth will also hurt your case because a judge will be less likely to believe you are telling the truth about other important things in your case. III. Is a Financial Statement confidential? To protect your privacy, Financial Statements are only available to you, the other party in your case, and his or her attorney. Financial Statements are filed separately from the court file. The only exception may be in a Chapter 209C (paternity) case if the file is impounded (which means that the complete case file is available only to parties in the case or their attorneys). IV. Which forms do you need to fill out? You get the forms and schedules that you need from the Register’s Office. You can follow three simple steps in figuring out what forms you need to fill out and what you need to attach the forms. If you received W-2 or 1099 tax forms for last year, you must attach copies of them to your Financial Statement. If you have income from self-employment, including, but not limited to, income from a business you run, ask for and fill out the lavender “Schedule A, Monthly Self-employment or Business Income” form (“Schedule A” form for short). If you generate income from real estate or “real property,” including, but not limited to, rent from an apartment, a condominium, a building, a garage, and parking spaces, ask for and fill out the lavender “Schedule B, Rent from Income Producing Property” form (“Schedule B” form for short). V. Should you get a lawyer? Generally, it is not a good idea to represent oneself in court. Although the Court is available to you regardless of whether or not you have an attorney, it is advisable that you seek advice and representation from an attorney. There may be rules and laws which you find hard to understand or follow without a lawyer. 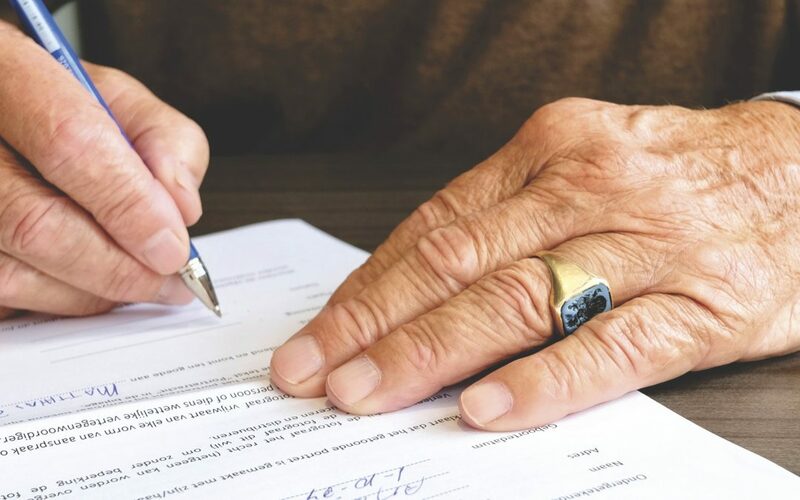 Employees of the Probate and Family Court cannot give you legal advice – in fact, no one can give you legal advice except for attorneys who are licensed to practice in your State. People who appear in Court without a lawyer are called “pro se” (pronounced “pro say”) parties—meaning that they represent themselves. VI. When do you have to file a financial statement? You are required to file a Financial Statement in any case where support, alimony or a financial matter may be an issue. Give copies to the other party on time. Financial Statements must be filed by both parties within 45 days of the defendant being “served” with the “summons” in the case. If a hearing on temporary orders or a “pre-trial” is scheduled before the 45 days have passed, you must make sure that you exchanged Financial Statements with the other party at least 2 days before the hearing. If your information has changed since the last time you filed a Financial Statement, you should fill out new forms, file them in Court and give copies of the revised Financial Statement (and the necessary attachments) to the other party at least 2 days before the hearing. The Judge can order parties to file Financial Statements at other times if needed. Some Courts require that you file a Financial Statement before or at the time that you request a hearing. While the case is pending, either party can make a written request that the other party file an updated Financial Statement. However, there are limits on how often you can do this. You can only request another Financial Statement after 90 days have gone by since you last requested that the other party file a Financial Statement. Once this written request is made, a party must respond in 10 days. A sample Request for a Financial Statement can be found below. The Court can sanction (punish) people who refuse to file Financial Statements. Fill in your name and other information. If your phone or address is impounded (withheld by the Court) or that listing them will put you in danger, leave those areas blank and ask to speak to an Assistant Register about why you want to leave the spaces blank. “Gross income” is the total income from any source before taxes and deductions. List all of your income, including, but not limited to, part-time jobs, full-time jobs, second jobs, bonuses, commissions, worker’s compensation, unemployment benefits, SSI, Social Security, T-AFDC, disability benefits, National Guard, military, or other income. If your numbers are on a monthly basis, you can derive the weekly amount by dividing the monthly amount by 4.3. If you have a yearly amount, you can derive the weekly amount by dividing the yearly amount by 52. When you’ve filled in the numbers for parts (a) – (q), add them together and fill in the total in part (r). The information for your federal and state tax deductions can be found in your pay stubs if you receive a salary. Take those numbers and fill them into parts (a) and (b) respectively. Your pay stubs should also list how much FICA (Federal Insurance Contributions Act) tax is taken out. Use that number and fill in part (c). If your pay stubs lists an amount for Medicare that is separate of the FICA amount, add the two amounts and fill in part (c) with the total. Parts (d) and (e) should be self-explanatory. After you’ve filled out parts (a) – (e), add them together and fill in part (f) with the total. To determine your adjusted net weekly income, subtract the amount listed for 3(f) from the amount listed for 2(r). The deductions listed in Section 3 are known as “mandatory deductions.” Parts (a) – (d) under Section 5 are known as “voluntary deductions.” The amounts for these should also be listed in your pay stubs. Fill in the numbers in their corresponding parts and total them in part (e). To determine your net weekly income, subtract the amount entered in Section 5(e) from the amount entered in section 4. For your gross yearly income from the prior year, you should pull the number(s) listed in prior year’s W-2 or 1099 form. Additionally, the Probate and Family Court requires you to attach a copy of all W-2 and 1099 forms from the prior year to the back of the financial statement. Section 8 requires you to list your expenses in weekly amounts. If you have the yearly amount for one category, you can determine the weekly amount by dividing the yearly amount by 52. If you have the monthly amount for one category, which is often the case for most bills, you can determine the weekly amount by dividing the monthly amount by 4.3. If you have an attorney, you will have to disclose to the Court how much you’ve paid your attorney and how much you will be paying in the future. Parts (a) and (b) are easily accessible from the bill(s) you receive from your attorney. For part (c), you will have to consult your attorney to determine how much he or she believes you will have to pay to litigate the remainder of the case. The amounts for the different types of assets you are required to disclose under Section 10 are easily assessable from the monthly or yearly statements that are sent by the companies whom you have the account with. Perhaps the trickiest to figure out are the fair market values (FMV) for your real estate and motor vehicles required by parts (a) and (b) respectively. To determine the FMV of your house, you can either hire an appraiser, which is fairly costly, or you can search for your property on a few websites such as zillow.com, trulia.com, redfin.com, etc. and calculate the average of how much those sites claim the FMV is for that property. It is inadvisable to rely on the amount of any single site. Similarly, you can determine the FMV of your car with a little bit of research on websites such as kbb.com (Kelly Blue Books), edmunds.com, and autotrader.com. This section requires you to list any debts or liabilities that you have incurred under your name and should be fairly intuitive. The column titled “nature of debt” refers to the type of debt such as credit card debt, school loan, etc. Please note you should not list your mortgage in this section. Notes: The last page of the financial statement requires the date and your signature. This signature certifies that you are signing under the “penalties of perjury,” which means that there may be repercussions imposed on you by the Court if any of the information you’ve offered are false or inaccurate. As such, it is important that you take your time to carefully fill out the financial statement to avoid any inaccuracies. If you have an attorney, they will also have to sign their designated statement section. If you feel it is necessary at any point when filling out the financial statement that you need to offer an explanation regarding the information you are disclosing, you may make a numerical notation right next to the information and attach an explanation sheet to the end of the financial statement. The long form asks for essentially the same information as the short form. The only noteworthy differences are that the long form requires more detailed information and has more room for more information to be disclosed, which is understandable given that individuals with higher incomes would have more to disclose.